In a landmark judgment delivered on Wednesday, the Supreme Court ordered the Colombo University to absorb Fathima Shanaz as a lecturer within the next two months, after university authorities reportedly refused to appoint her in 2011 on allegedly grounds of her ethnicity even though she obtained the highest score at the interview. Executive Director of the Center for Human Rights, Rajith Keerthi Tennakoon told the Colombo Telegraph that everyone underwent a dark era in the past, where everything was suppressed and there was an increased presence of racism in the country which also affected the university system. “But I am happy to announce that we have achieved a landmark victory yesterday, and this has been possible because of the independent judiciary in the country at present,” he said. 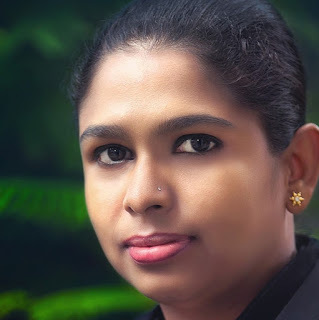 In the ruling, Judges of the Supreme Court, Eva Wanasundera and Upaly Abeyratne stated that the Management Committee and the University Council of the Colombo University had deliberately withheld the appointment of the Petitioner, Fathima Shanaz who had been selected for the post of Lecturer (Probationary) of the Journalism Unit, and had therefore violated the fundamental rights of her. “I hold that the University of Colombo; the Management Committee of the University of Colombo; and the Council of the University of Colombo have violated the fundamental rights of the Petitioner guaranteed by Article 12(1) of the Constitution. I order the University of Colombo, The Management Committee of the University of 8 Colombo and Council of the University of Colombo to appoint the Petitioner to the post of Lecturer (Probationary) Journalism Unit of the University within two months from the date of this judgment,” the ruling stated. An analysis of the Bible and the Quran has found that violence and destruction are discussed more frequently in Christian scripture than in the Islamic text. In an effort to dispel the oft-mentioned argument that Islam is an "inherently violent religion", an American software engineer processed the Holy books in order to find out how frequently savagery is mentioned. Tom Anderson said: "The project was inspired by the ongoing public debate around whether or not terrorism connected with Islamic fundamentalism reflects something inherently and distinctly violent about Islam compared to other major religions." Far-right groups such as Britain First often advocate the idea Islam is "inherently violent"
Anderson used software he developed, Odin Text, to analyse both the Old and New Testaments as well as an English-language version of the Quran dated from 1917. It took just two minutes to complete the analysis and produce a series of data analysing the sentiment of words included in the scriptures. Of eight emotions - joy, trust, fear, surprise, sadness, disgust, anger and anticipation - the Bible scored higher for anger and much lower for joy and trust than the Quran. Delving into the Bible further revealed the Old Testament was distinctly more violent than the New Testament. The process identified words such as "destroy", "kills" and phrases such as "suffer vengeance", as having violent connotations. Anderson wrote in summary: "“Of the three texts, the content in the Old Testament appears to be the most violent. However, Anderson cautions: "First, I want to make very clear that we have not set out to prove or disprove that Islam is more violent than other religions. "Moreover, we realize that the Old and New Testaments and the Quran are neither the only literature in Islam, Christianity and Judaism, nor do they constitute the sum of these religions’ teachings and protocols. "I must also reemphasize that this analysis is superficial and the findings are by no means intended to be conclusive. Ours is a 30,000-ft, cursory view of three texts: the Quran and the Old and New Testaments, respectively." He concluded: "Lastly, we recognize that this is a deeply sensitive topic and hope that no one is offended by this exercise."